SKOPJE – Prime Minister of Macedonia Zoran Zaev met with the Director-General for European Neighbourhood Policy and Enlargement Negotiations Christian Danielsson, who together with EU Ambassador Samuel Žbogar participated in a meeting on the current status of the integration process of the country in the European Union. 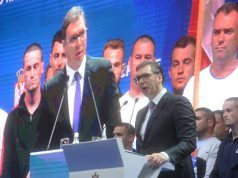 The Government stated that Zaev and Danielsson had a one-on-one meeting, after which a joint meeting was held with Deputy Prime Minister and Minister of Interior Oliver Spasovski, Deputy Prime Minister in charge of European Affairs Bujar Osmani, Justice Minister Renata Deskoska , Minister of Information Society and Administration Damjan Mancevski and Minister of Foreign Affairs Nikola Dimitrov. Zaev emphasised that the support from the European Union, its institutions, EU member states, neighbours and various other leaders was crucial for Macedonia to move firmly ahead and to return on the path towards the European Union and NATO. 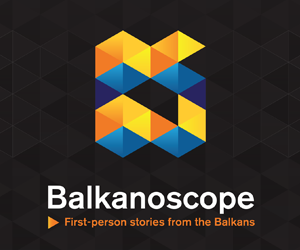 “For Macedonia, 2018 was a year of historical significance, during which we finally resolved the dispute between the Republic of Macedonia and the Republic of Greece. Parallel to this process, the Government worked hard on the key reform areas put forward by the European Council in June 2018, as a condition for an effective start to EU membership negotiations in June 2019, namely, reforms in the judiciary, security and intelligence services reforms, fight against crime and corruption and public administration reforms. Macedonia has made remarkable progress and took bold steps. 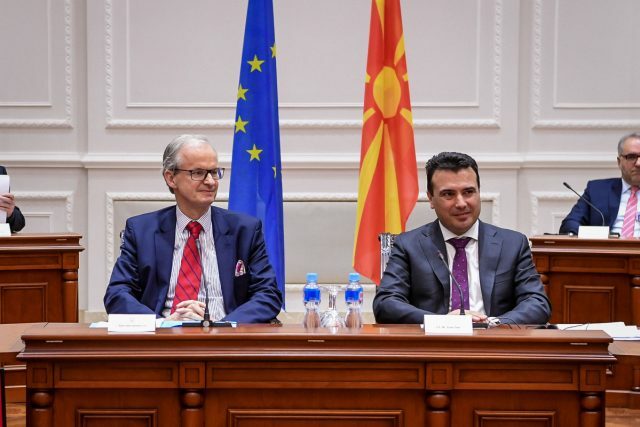 The start of membership negotiations in June will send a strong sign to the Western Balkan region that the accession process remains based on merit and results – if the candidate country delivers, then the EU delivers in turn,” Zaev said. Zaev informed that nine chapters of the negotiation process have already been covered and passed through joint explanatory and preparatory meetings with the European Commission, and that this phase provides significant preparation for the negotiations that will follow. On behalf of the European Commission, Danielsson congratulated Macedonia on the historic agreement with Greece, and said that the Union remains committed to giving its maximum support to the Republic of Macedonia in the upcoming period in order to achieve what was agreed last year, the opening of the chapters to start in June. Danielsson emphasised that the progress and commitment of the Macedonian Government is visible, and that European Commission will continue with its indications and recommendations so that mutual interests of Macedonia and the EU can be fulfilled.